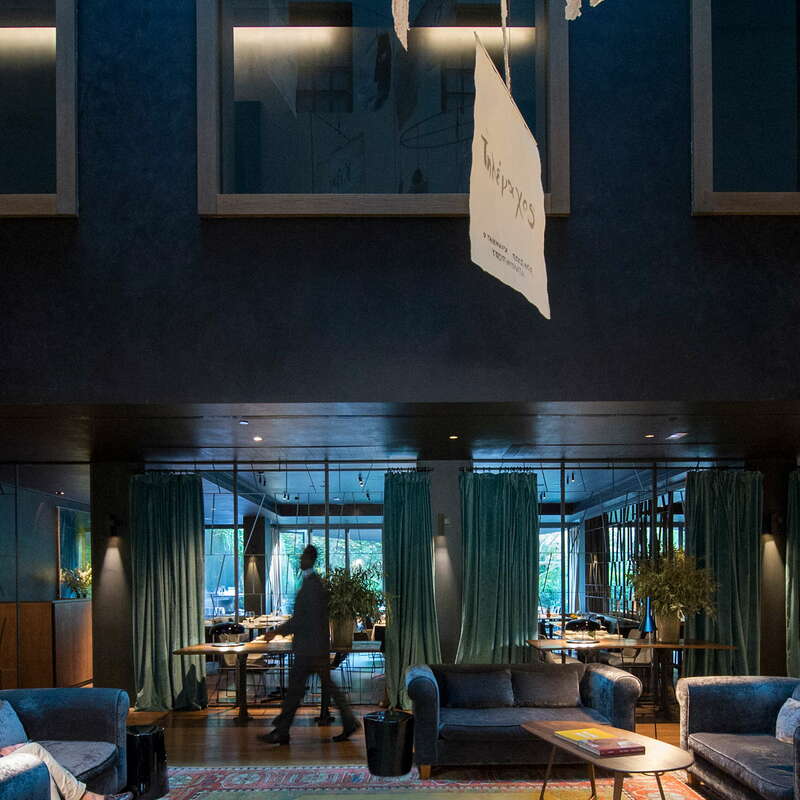 With an overwhelming attention to detail, the family-run Alma Barcelona is an elite property that boasts one of the best-hidden courtyards in the city. 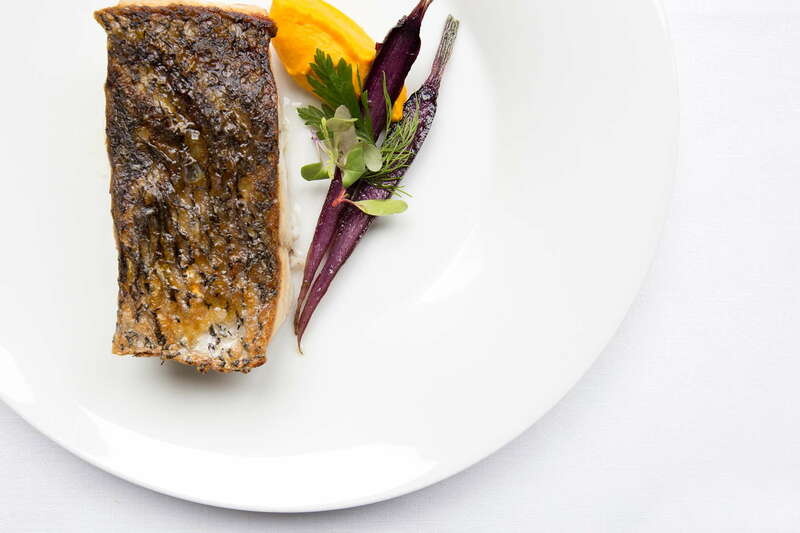 Alma, which means ‘soul’ in Spanish, is a local’s favorite for late day lunches, long outdoor dinners, and a summer programming schedule that includes live music, book readings, and lecture series’. Fine lines and high-design can be seen throughout the property and an unending level of service matches its luxurious surroundings. Ask the front desk about a Wi-Fi device. They’ll help you stay online anywhere in the city. You enter the rooms via fingerprint display which is casually taken at check-in (privacy-minded conspiracy theorists can get key-cards) and inside you’ll find minimalist design with modern amenities. 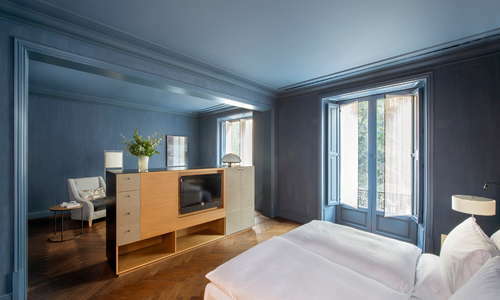 All rooms have brushed hardwood floors, leather and wood accents, classical blackout shutters, and city or garden views. 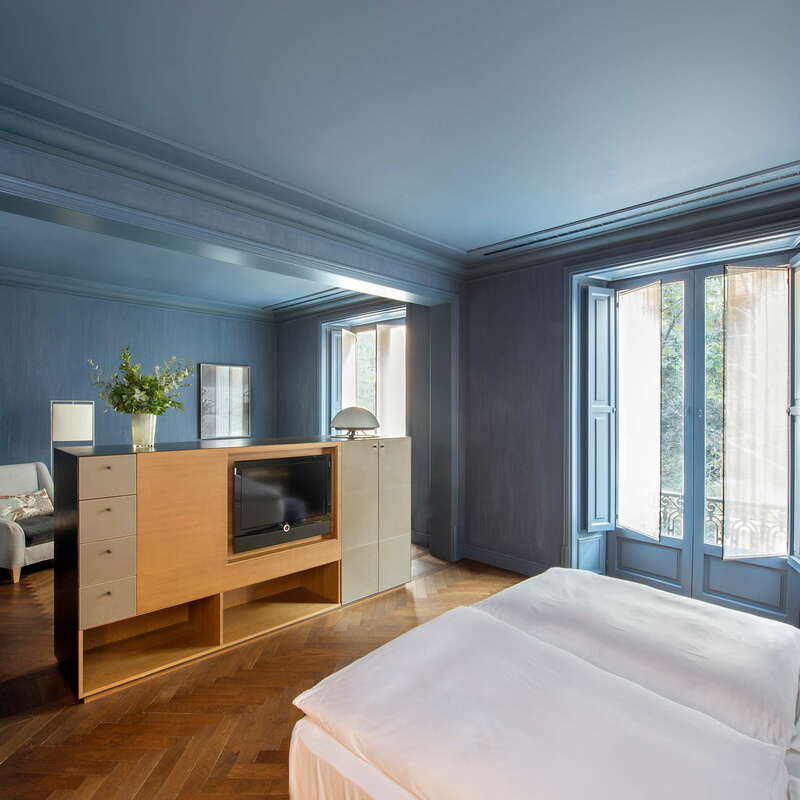 The accommodations are incredibly spacious and come with the highest quality beds and linens, and in the suites, you’ll feel as though you’ve rented a lux apartment in the city with all the legroom in the world. The minibar is free and that includes the beer. You’ll also find yoga mats in all the rooms which can be used for rooftop activities throughout the year. 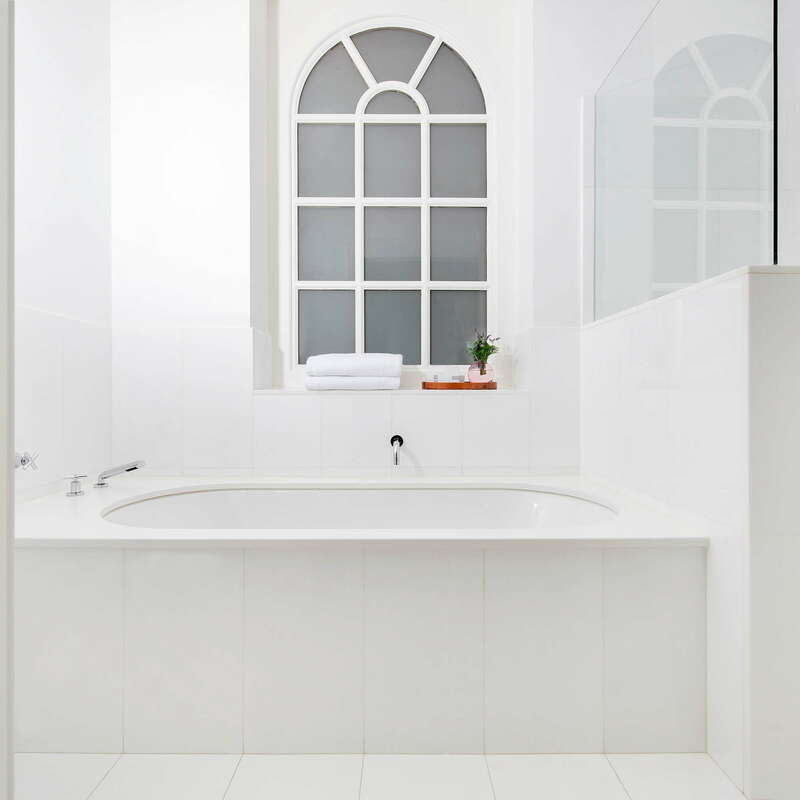 Bathrooms are awash in the finest of white marble and each comes with separate sunken tubs and rain showers. 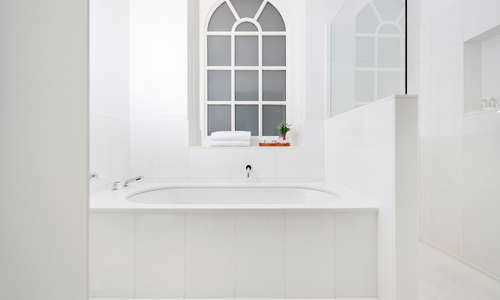 Countertops are either white or black marble with lit shaving mirrors and Malin + Goetz bath products. 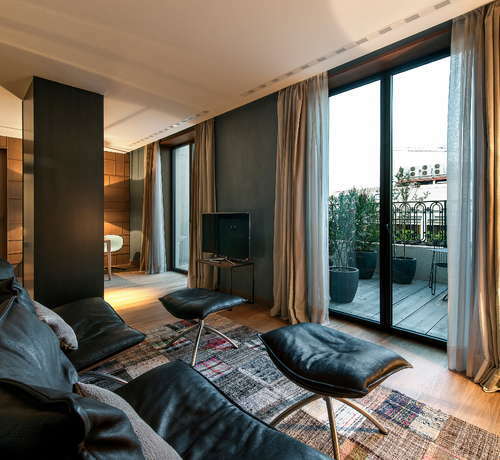 Suites have extras like walk-in closets and Bulgari toiletries. Look up and you’ll see the soaring seven-floor atrium and classic window coverings that extend to the rooftop. Soft, blue, velvety couches are ideal for settling down before a long day or right after. Beyond the foyer, the hotel opens up to the bar, restaurant, and glorious gardens in the back. The hotel is pet friendly, just let them know ahead of time if you’re bringing Fido. The serenely placed spa in the basement of the hotel features a very large rectangular hammam, a sauna and steam room, and two massage cabins that can be combined for couples. The spa is only open for guests and has the utmost privacy with more fingerprint entry systems. Beyond the spa is the small fitness area that houses a few TechnoGym machines, free weights, and refrigerated water atop hardwood floors. For a little exercise outside, inquire about the hotel’s bicycles. You can rent them for 20 Euros a day (they’re free if you’re in a suite). 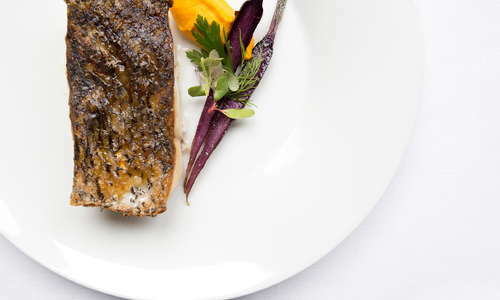 Where the hotel rises up above the competition is in its dining options. 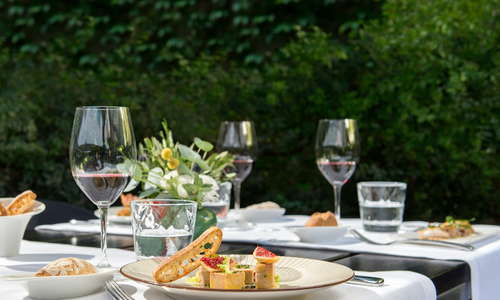 The mainstay is Le Jardín del Alma (Garden of the Soul), open for lunch and dinner (but also the breakfast area with its own excellent buffet with a la carte options). 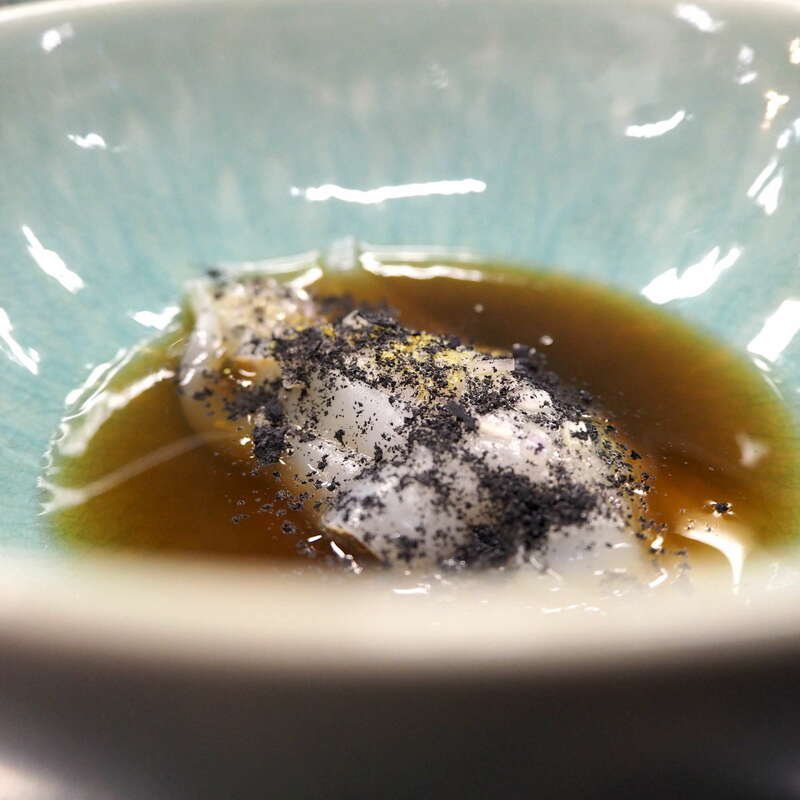 Chef Gio Esteve prepares innovative takes on Catalan dishes and other Mediterranean fare that wows to the point that locals have become regular patrons every day of the week. Bottom line, don’t sleep on the restaurant during your stay. Ask about the chef’s table. If you’re lucky (and maybe a regular), they will set something up for you right in the heart of the kitchen for a wholly unique experience. There are multiple drinking options in the hotel, but the best is probably out back in the garden. Hanging lights and widely spaced tables sit amongst lush foliage for perfect sundown sips or end of eve night caps (don’t worry they have heat lamps for winter months). Meanwhile, on the roof, there are endless views to go along with signature cocktails and an ever-changing calendar of events that includes live music, DJs, readings and more. Both spaces, the roof and the garden, have a rotating calendar of activities so always ask the front desk or consult the hotel’s web site for the latest. There’s also an afternoon tea in the gardens if you need some extra indulgence. 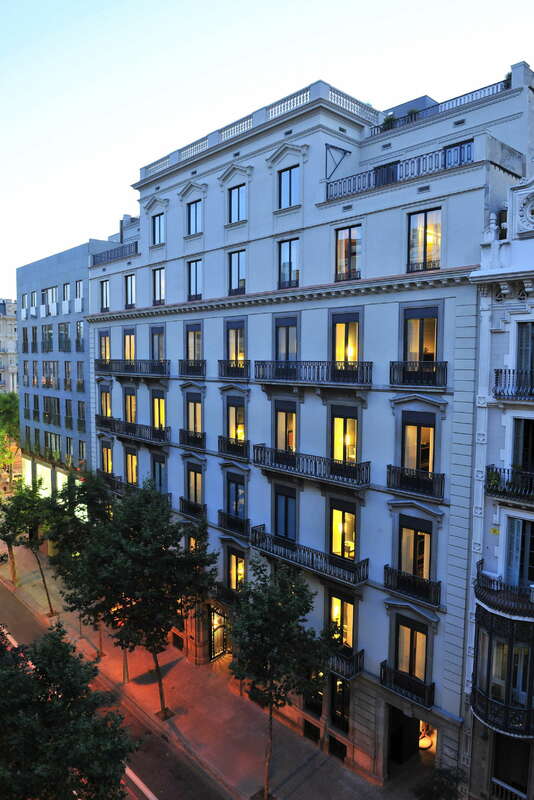 The hotel is in an incredible location--one block east of Passeig de Gràcia and just two blocks south of Diagonal--two of the biggest thoroughfares in Barcelona with dozens of attractions, bars, restaurants, and shopping. The Diagonal metro stop is only a few minutes away as well in case you need to hop around town. The area is one of the fancier spots in town with high-end luxury retailers and boutiques lining the streets. 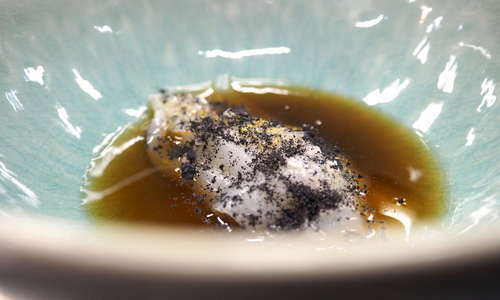 Head over to Petite Comite (5-minute walk) if you want some more inventive Catalan cuisine by a Michelin-rated chef. If you’re looking for more traditional tapas, check out Cervecería Catalana (5-minute walk). If you love gin and vermouth, make it a point of trying out Dry Martini (10-minute walk) that has classic and altered versions of the eponymous drink. For pure cocktail concoctions, check out Boca Chica (5-minute walk) where expert mixologists sling never-be-seen mixtures. When a hotel does all the little things right, it’s definitely worth pointing it out, and that is very much the case at this mid-sized boutique. 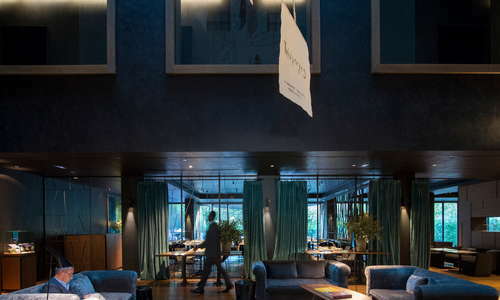 The staff prides itself on its quality whether it’s the high thread count sheets on the bed, the lux products in the bathrooms, or just the hand-stitched leather facades on the minibars. 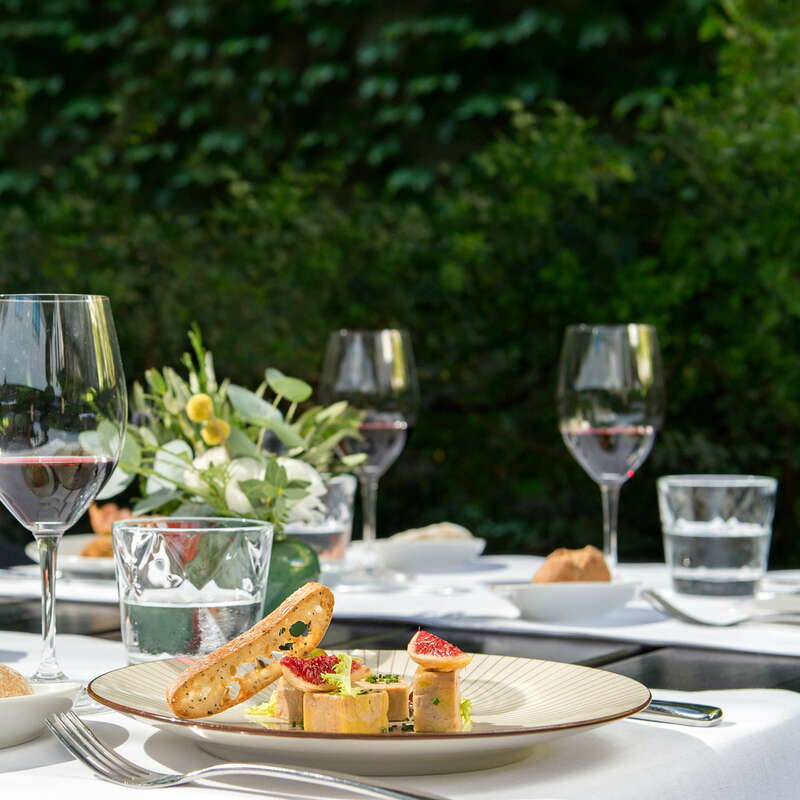 The restaurant is stellar and rivals the best kitchens in town, but the true gem of the hotel is its one-of-a-kind back patio where you can disappear for hours eating, drinking, or just wiling away in the perfect Barcelona weather.